With 2017 coming to a close, people are bundling up and heading inside to spend time with friends and family. For many, it's a time of celebration and relaxation. For those who haven't done their holiday shopping, it's a time of panic attacks and hyperventilating. Thankfully, those in the second group can rest assured that the loved ones on their shopping list are most likely tech lovers. Everybody likes receiving the coolest gadgets, but knowing exactly which to choose demands a little knowledge about the recipient. On that note, let's explore some of the most interesting devices on the market as well as the kind of person that would want to get them. If you're looking for a catch-all gift that's good for anyone on your list, you'll be hard pressed to find something better than smart speakers. These are great for jamming out to your favorite tune or listening to an audiobook while cooking, but the feature that makes a smart speaker special is the built-in personal assistant. A good way to explain the benefits of this feature is to examine the second-generation Amazon Echo, which Tom's Guide believes to be the best smart speaker of 2017. This device has Alexa, which is an assistant that can answer questions, play specific songs or even order something off Amazon for you. What's more, a firmware update has greatly increased the second generation's sound quality and a reduced price of $99 is pushing many to invest in the Amazon Echo. If you're looking for more value, the Amazon Echo Dot is only $50. However, you'll have to deal with reduced sound quality in this model. Of course, the Echo line isn't the only choice here. If you still like the Alexa AI, the Sonos One speaker might make a better gift. The sound quality has been found to be far superior to either of the Echos, and it still runs Alexa for that more personal touch. However, at a price tag of about $200, you'll certainly be paying for quality. Although smart speakers are a solid general gift, you may be looking for something more specific. If you need a gift for an outdoorsy loved one or a kid that has too much free time on her hands, you might want to consider a drone. Advances in this technology have allowed drones to become much cheaper and much more fun than they were just a few years ago, and they're a great wow factor for any holiday get-together. For young kids who need a reason to get out of the house, check out the Syma X5SC. With a price of around $49, this starter drone is a great way to get children excited about the hobby without putting too much money on the line. The device can perform a 360° roll, has multiple cameras and has a blade protector to ensure a single mistake won't forever ruin usability. 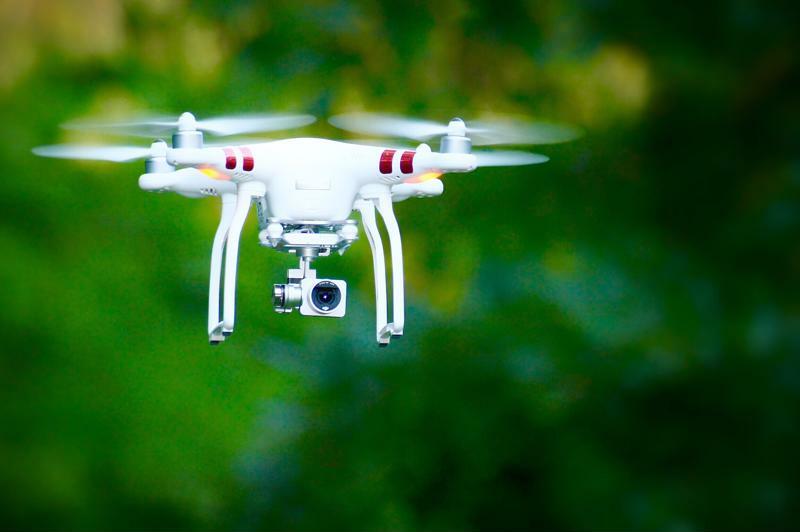 Drone popularity is exploding recently. If you know someone older who's already into drone operating or simply wants to get into it, you may want to look at the DJI Phantom 4. Although the overall usability and speed of this drone are certainly impressive, it's the obstacle avoidance system that truly makes this device special. This safety program stops the drone from hitting an object that is in its flight pattern, which can seriously cut down on the mistakes a beginner might make. However, with some stores selling the drone for around $1,399, the DJI Phantom 4 is a hefty investment to say the least. Virtual reality was seen as something only for science fiction for years. Now, however, the technology exists to bring VR home for the holidays. Although the future applications seem to be endless, the current uses for these devices seems to be within gaming. "Virtual reality was seen as something only for science fiction for years." If the gamer in your life is looking to upgrade their hobby, you may want to take a look at the Sony PlayStation VR. This headset works with the PlaStation 4 or PS4 Pro, and has a 3.5-millimeter headphone jack for you to use your own earphones. Although it has dedicated consoles and a large company pushing it – which means it already has specifically-designed games to go with it – the 1,920-by-1,080 OLED display panel isn't as sharp as other devices. What's more, the VR headset doesn't work without the PlayStation Camera, which simply adds on to a $299 price tag. For a more general VR headset, you can't go wrong with the HTC Vive. At $599, this device is certainly more expensive than Sony's. However, the user isn't required to purchase a PlayStation Camera. Additionally, the HTC Vive is best suited for a PC, which gives the gamer more flexibility in terms of his or her loadout. However, as PCMag pointed out, the fact that the headset is tethered to the gaming device means that whole-room VR is often out of the question. Outside of gaming, an interesting feature of the HTC Vive is the Virtual Desktop option. This basically allows you to project your computer's desktop anywhere you want, whether that be floating in the air or placed directly on the wall. This augmented reality experience is not only useful, it's also an incredible look into the possible future of home computing. Getting a gift for a loved one may be difficult, but the holiday season truly is about giving. Getting your friends and family tech will make sure everyone goes home happy, so do what you can to make this holiday season special.